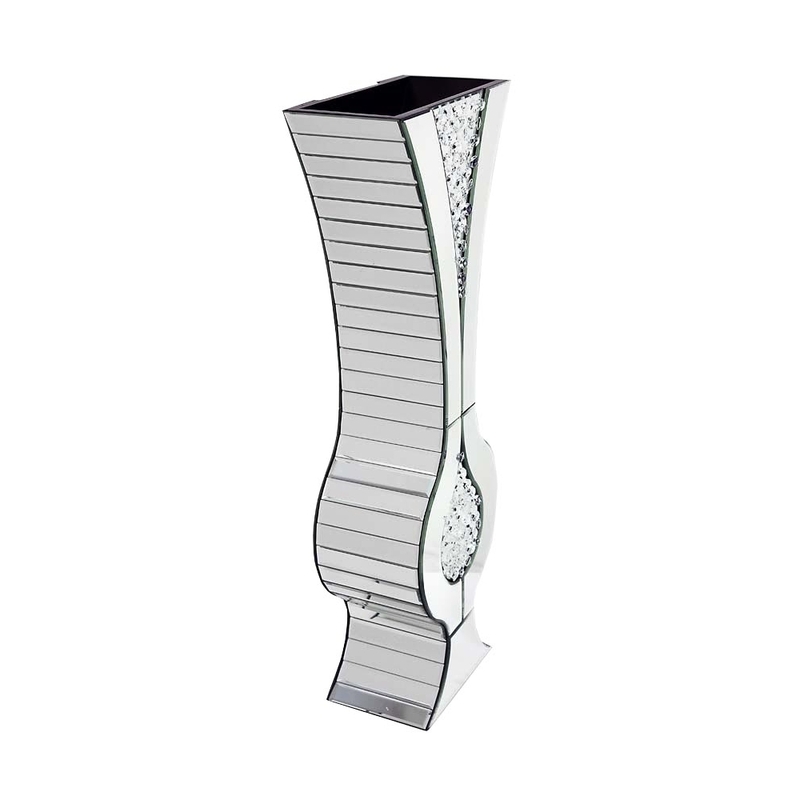 This is a beautiful mirrored classic vase, it is perfect for those who want a modern yet glamorous look. It is the perfect vase for those who want something that is simple yet has a true beauty about it at the same time. This mirrored classic vase is finished with glass crystals, it's made of mirrored glass. This mirrored classic vase is from the Rhombus range.